12 Şubat 2019 Salı 08:01 - 8 reads. "Greenland's melting ice can provide the export of sand"
"global warming makes Greenland's massive ice sheet is shrinking, and that large amounts of sediment washed into the sea. The sand that is clear would be exported, according to a Norwegian-american study published in the tidsskiften Nature Sustainability." "the Scientists believe that the extraction of sand and gravel would be of great benefit to the island's slightly more than 56 000 inhabitants. The need within the construction and other industries are expected to grow significantly in the future – and with it the market value." "– Typically belong to the people of the Arctic the group who really feel the climate change, the erosive coast, less permafrost. 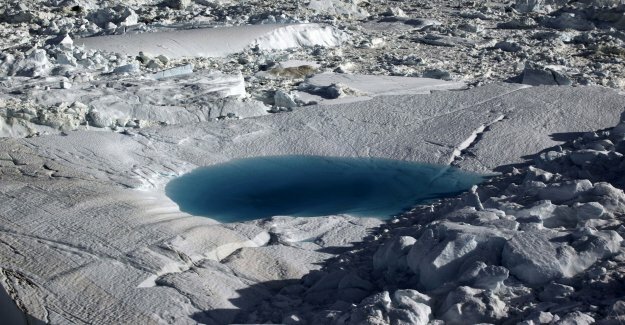 This is a unique situation due to the melting of the ice cap, " says Mette Bendixen, a researcher at the universities of Copenhagen and Colorado."